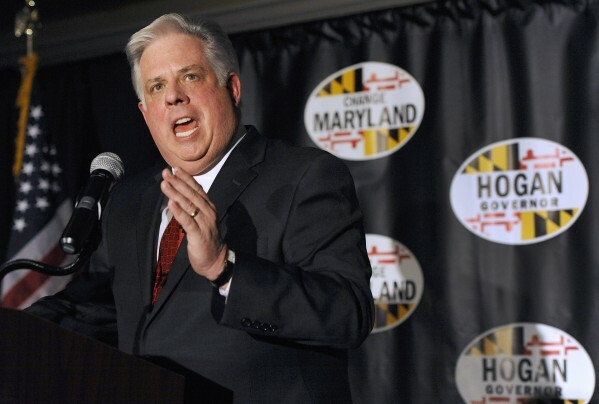 One of the biggest surprises of this election season has been the governor’s race in Maryland where Republican businessman Larry Hogan is taking on Lt. Gov. Anthony Brown turning what should have been a runaway victory for the Democrats into an increasingly tight race that is attracting national attention. This wasn’t supposed to happen. Hogan, who runs a real estate firm in Anne Arundel County, served as former Gov. Robert Ehrlich’s Appointments Secretary and entered the race with probably the best name recognition among the four Republican candidates and easily won the primary as expected. His next task was to focus on Brown and how to beat the incumbent Lt. Governor in a state where the Democrats hold more than a 2-1 registration advantage, and who also had raised millions of dollars for the race. Rather than get bogged down in social issues which may matter to conservatives, but are poison in deep blue Maryland, Hogan chose to focus on an economic message of jobs and taxes- especially the latter since the O’Malley-Brown administration has been responsible for over 40 tax increases in their eight years in office, including a one-cent increase in the sales tax and a gas tax increase that pegs the taxes to the increase in inflation. What a brilliant idea! Peg a tax increase to inflation-which we know will increase by some measure every year and therefore guarantee a stream of revenues to the Democratically controlled legislature forever even though taxpayers aren’t guaranteed raises to pay for the taxes. And by the way- both the sales tax and gas tax hits the lower end of the economic scale the hardest- a group that the Democrats are supposedly the champions of. This strategy, which the Brown campaign had dismissed is working for Hogan as Democrats who are tired of the increasing tax burden are increasingly warming up to Hogan’s message. That forced Brown to pledge in one of the debates to not to increase taxes during his term- which voters are having a hard time believing considering his track record in Annapolis. With the polls showing an increasingly tight race, New Jersey Gov. Chris Christie has put the weight of the Republican Governors Association behind Hogan with money and his endorsement. Christie has come to Maryland to help Hogan, capping it with an appearance Sunday in Baltimore to a packed house of enthusiastic and reenergized Republicans. While Hogan has been eating into Brown’s base, his best hope is for a scenario like 2002 when Robert Ehrlich beat incumbent Lt. Gov. Kathleen Kennedy Townsend to become the first Republican governor in Maryland in 36 years. There are some similarities to that race with Brown, like Townsend being a weak candidate and with Democrats showing little enthusiasm for Brown. A measure of that lack of enthusiasm are the appearances of President Obama and Hillary Clinton, which drew small crowds and those that came mainly wanted pictures of the politicians and didn’t come to hear Brown. Brown still has the edge in this race thanks to the Democrats large registration advantage, but thanks to his weak campaign, an-off year election and early voting numbers that were designed to help the Democrats showing that they are not very interested in this race spells trouble for Brown. Democratic apathy though will not be enough to propel Hogan to victory. Republicans must turn out to vote and the independent/unaffiliated voters-which is the fastest growing group of voters in the state also need to cast their votes for Hogan in above average numbers. Republican voters in Maryland often complain that their vote doesn’t really matter. While that may appear true in most years this year is different and their votes are crucial if they are serious about ending one-party rule in the state.